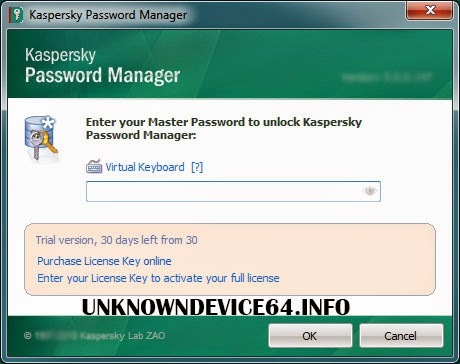 i am writing this post as a solution for How to reset password for Kaspersky Internet security and Kaspersky Antivirus of all version and windows. Before we start the procedure i wanna introduce something to understand working of above solution. in windows operating system All application settings are save in two form either in registry files, or application local file. So if you wanna crack any software this can be achieve by one of above. But Here we are not going to crack, instead we are going to little same. Kaspersky Stores Password setting in Registry File, Location Varies Version to Version of application as well as Windows. Now i wanna describe step by step to reset password. and look for and entry that reads “EnablePswrdProtect”. 4. Right click on “EnablePswrdProtect” and select modify. 5. The value data should read 1, change it to 0, click ok and reboot. Hope you will like this solution, If you have any query from cyber you can comment below. I will Try to provide An Automatic Tool For This Soon.. Till Now You Can Use Above Manual way. 10 comments to ''How to reset password for Kaspersky Internet security and Kaspersky Antivirus"
Passwords are only getting more intricate as time progresses as well hackers become more devious in figuring out other people's passwords in order to access their sensitive information. So create a strong password through the Free Random Password Generator. It is a great tool for every web user.